I do not know about you, but every year this season because of Spring, I want to have flowers everywhere! This is the time to take care of my balcony’s plants and maybe to buy more or change theirs planters. This is the time to add more floral decorative items in my home or at least have flowers in my accessories. 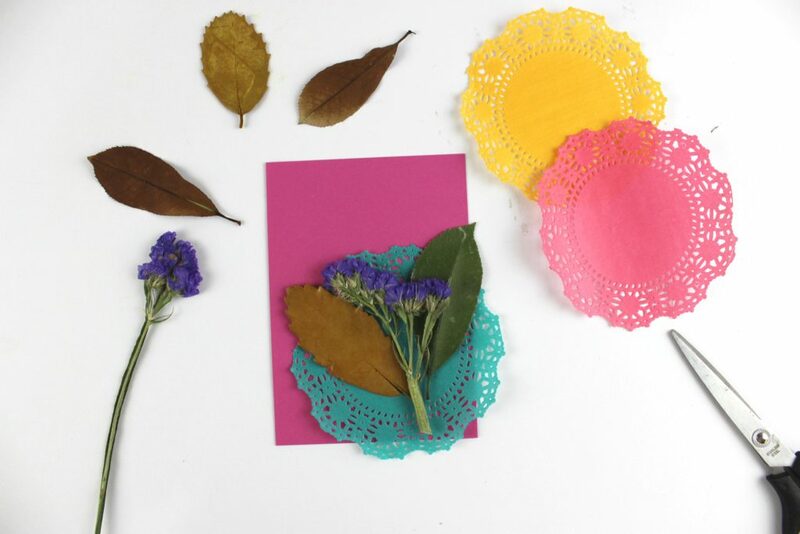 Actually, this is the time to have colorful floral crafts and have fun! 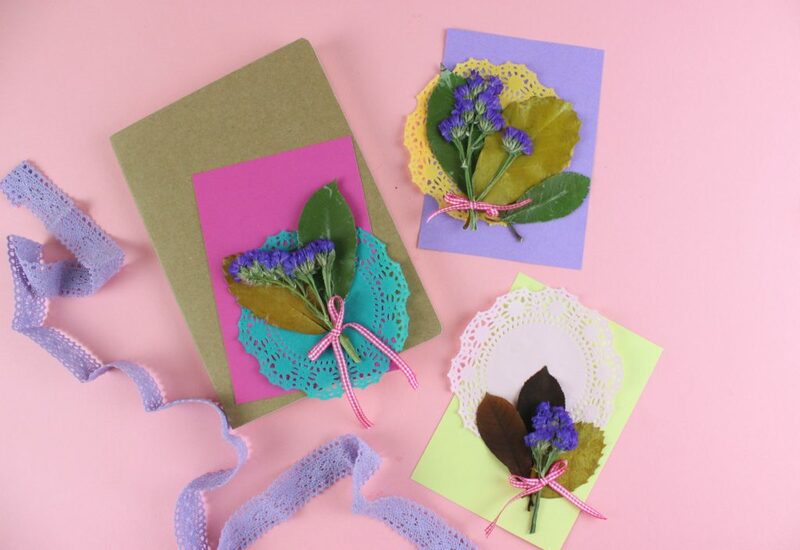 DIY Handmade Wishing Cards with Flowers and Leaves! When I was kid, because of a lesson we had at school, I got passioned with the dry leaves and flowers. 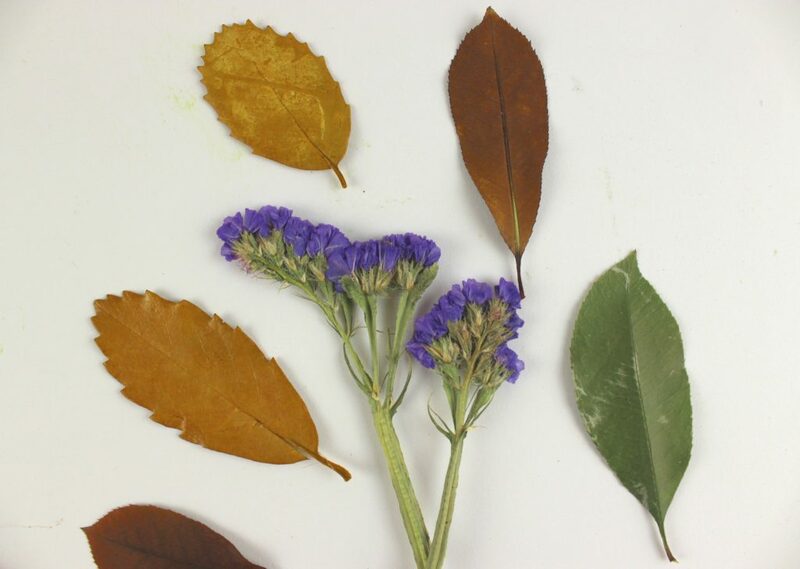 Every time I was with my family to small excursions to Nature, it was a good opportunity to collect leaves and dry them. Afterwards I was using them in my books. Now I have grown up, it is good to have the same habit with my kids, meaning to get know and collect leaves from the forest. So, the last time we had an excursion to Parnitha mountain, we have collected many for our crafts. How to dry them? You just need two heavy books. Use the first one and apply a cooking paper. 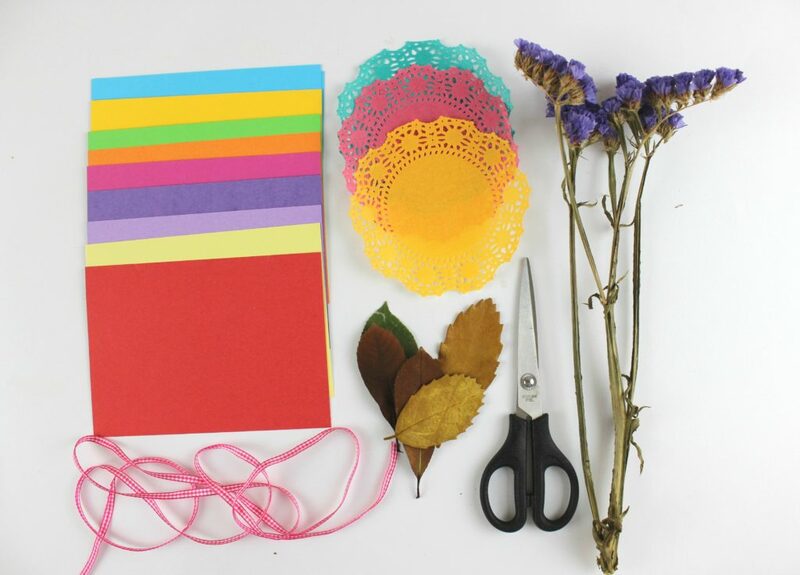 Put the leaves and flowers on the paper and cover them with a second paper piece. Add the second book and allow the leaves to dry for a few days! Now let’s make some cards with romantic style. This craft is really an easy to one and you can have your kids to help you. 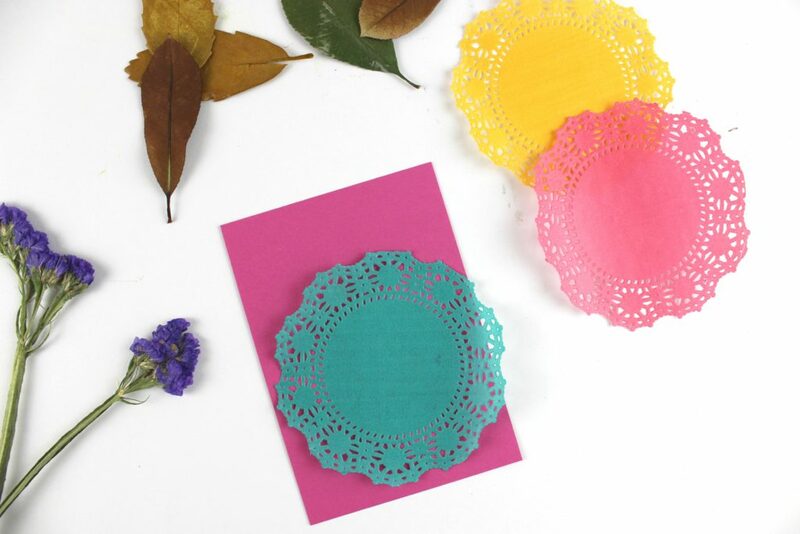 So, just decide the colors you wish to have and cut a piece of colored cardboard. Use glue and apply the paper dollie on it. Hot glue and apply the dried flowers on your cards! 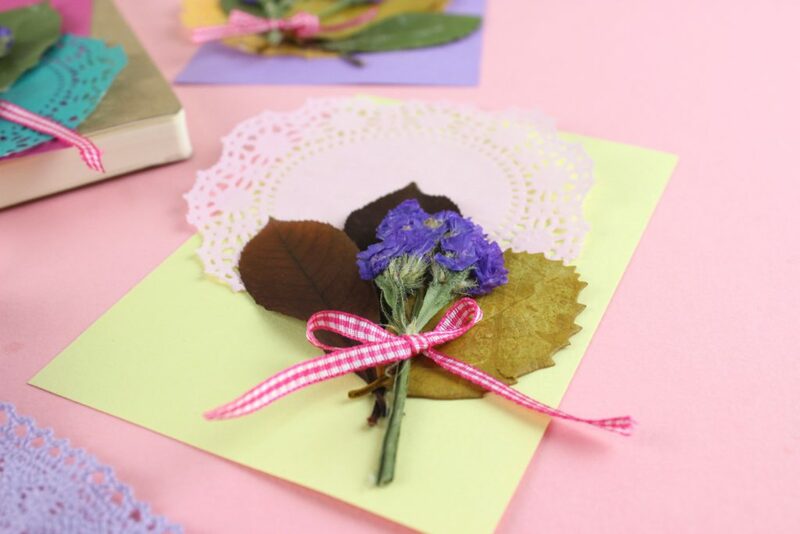 For our cards we have used leaves from roses and flowers called Amaranthos. 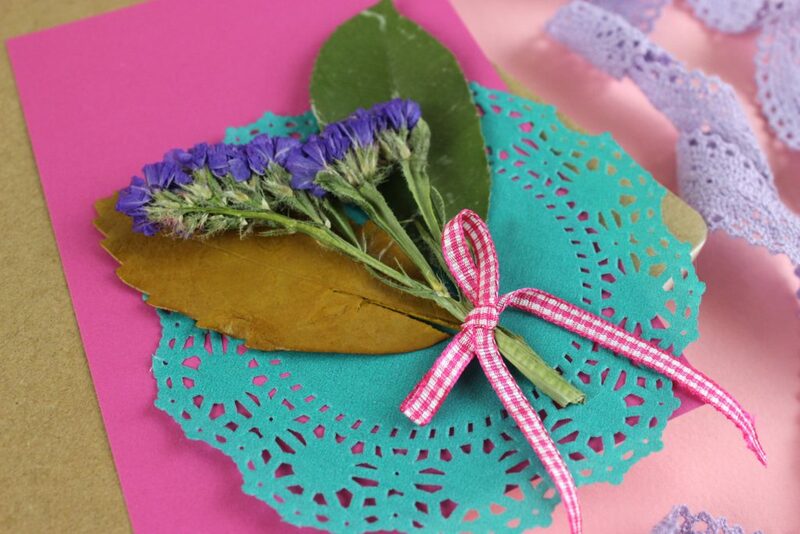 Of course you can use more than one flower that can be easily dried, like roses! 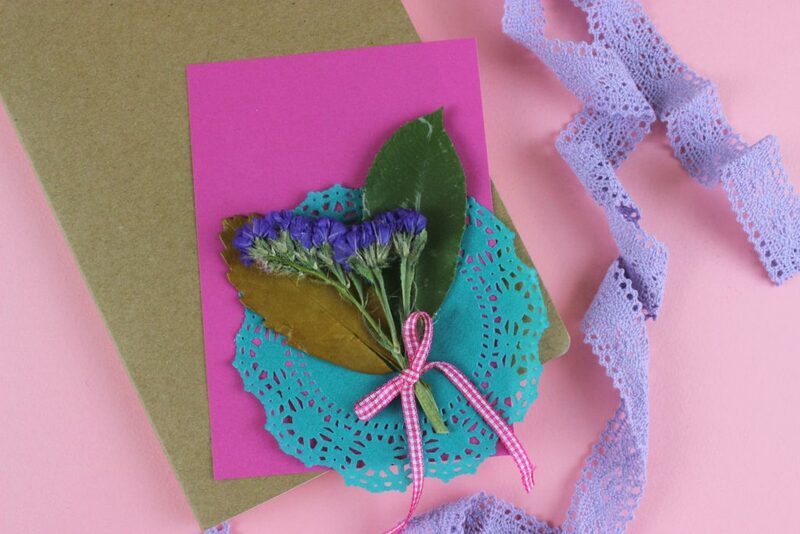 A small ribbon scrap in order to be more colorful and the card is ready to be delivered to your beloved friends! Actually these will be out wishing cards for this year’s Easter. And because we adored this craft and we had more shades available of the cardboard, we made a few more! So, what do you think? Aren’t they cute and romantic and so easy to make them?